Between the Mars rovers, deep space probes, and long-term plans to mine asteroids and colonize Earth’s neighbors, there’s just no shortage of news from space these days. Unfortunately, not all of it is good. For instance, NASA recently announced that the Kepler space telescope, which was launched back in 2009 for the purpose of identifying Earth-like exoplanets, is suffering from malfunctions and may be broken down. 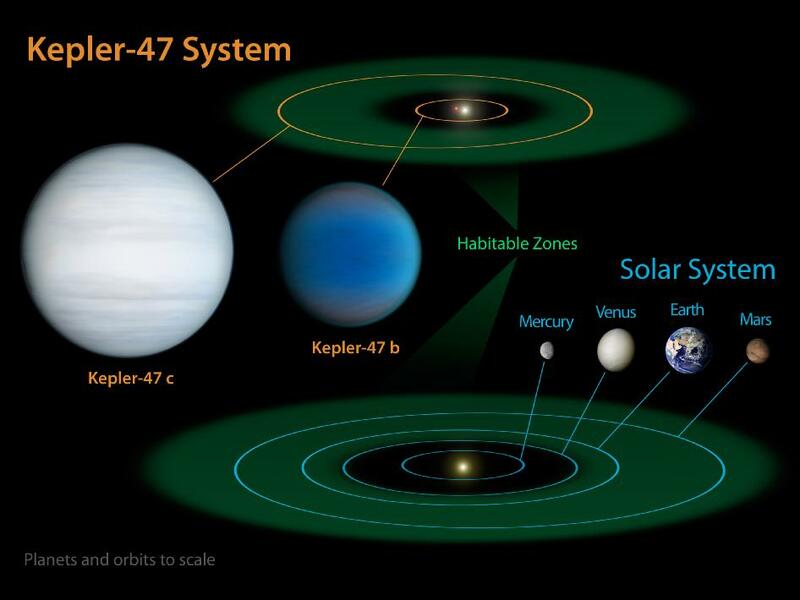 And in the course of its operational history, it did manage to identify a number of exoplanets that existed within the habitable zones of their parent stars. In fact, it had found a total of 2,740 candidate exoplanets spread across 2,046 stars systems, and a confirmed total of 132 that have the potential to support life. Unfortunately, during the early month of April during its weekly communication, NASA found that the space observatory was in safe mode, a sign that something was amiss. After looking into the problem, they realized that it had lost its ability to precisely point toward stars because one of the reaction wheels – devices which enable the spacecraft to aim in different directions without firing thrusters – had failed. This was especially bad since last year an different wheel failed, meaning it only had two wheels remaining. The probe needs at least three working in order to properly aim itself, but now that seems impossible. But the Kepler team said there are still possibilities of keeping the spacecraft in working order, or perhaps even finding other opportunities for different scientific pursuits. Either way, the team is not ready to throw in the towel on the telescope. And since NASA already approved to keep the mission going through 2016, a lot is still riding on it remaining functional. Initially, they did see some movement on the wheel but it quickly went back to zero speed, indicative of internal failure on the wheel. Our next step is to see what we can do to reduce the fuel consumption, as we would like to extend the fuel reserve as long as we can. In terms of the malfunctioning wheel, he indicated that there are a few things they can still do to get it working again. One possibility is “jigging it” or running it in reverse. We can try jiggling it, like you’d do with any wheel here on Earth, commanding it to move back and forth, so we can try to bring the wheel back in service. Or perhaps since wheel #2 hasn’t been turned on for eight months, it may come back if we turn it on. It will take us awhile to come up with a plan. Sobeck also explained they are currently using thrusters to stabilize the spacecraft, and in its current mode, the onboard fuel will last for several months. But they hope to soon put the spacecraft into what is called a “Point Rest State” – a loosely-pointed, thruster-controlled state that minimizes fuels usage while providing a continuous X-band communication downlink. This ought to keep the fuel consumption down to the point where the telescope could keep going for several more years. We’ll continue to analyze the data to get the science that Kepler was designed to do. 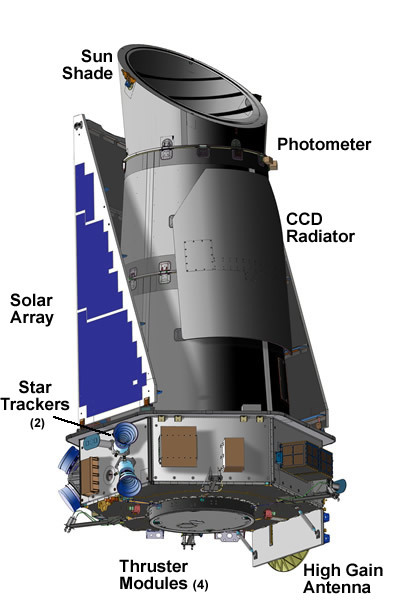 Even though Kepler is in trouble, it has collected all the data necessary to answer its scientific objectives. 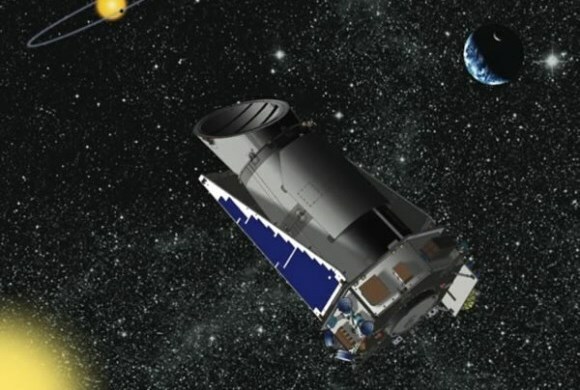 Kepler is not the last exoplanet mission, but the first. It has been a great start to our path of exoplanet exploration. In the end, its too soon to say if Kepler is deep in space (literally), or just experiencing a lull while her technicians get her back on track. And even if this does prove to be the end of her, the many thousands of planet she managed to identify during her years of service will certainly prove useful to humanity as we begin to set our sights on interstellar exploration and, God willing, colonization. And I imagine more than a few will bare the proud name of Kepler, in honor of her namesake and the telescope itself! Things could be worse. There could be space aliens attacking the telescope, after all. Perhaps this is the malfunction that will cause us to miss an asteroid coming towards us. Or perhaps we’ll spot it because we were looking in a random direction. Who knows? Perhaps we’ll completely miss the fauxpocalypse. Odds are better it would notice something it wasn’t supposed to, since it’s mission was to stop planet several dozen or hundred light years away.